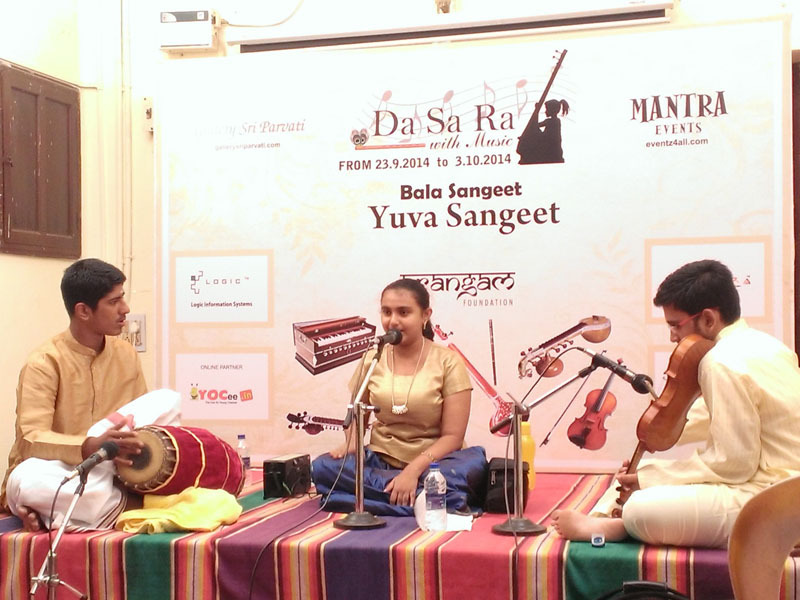 On Oct 4, 2014, a music concert was held at the Gallery Sri Parvathi from 5 pm to 6 pm, as part of ‘Da Sa Ra music’, a concert series promoting young talent. Asha Ramanujam, a student of Std 10 performed on that day. Asha began with the song, Pancha Matanga composed by Dikshitar. She effortlessly moved through the songs one after the other. She did not hold back her talent and hit the high notes easily. Complimenting her soulful singing, was the perfect beat of the mridangam and the melodious music of the violin. Adarsh and Sunderrajan also had their solos which they performed very well. Even if you do not have a clue about Carnatic music, attending a music concert is an experience worth remembering. Just close your eyes and slip into the music. Hearing the different sounds is an experience which gives peace to the mind. 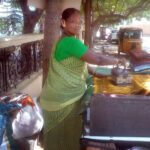 Asha’s journey with music began 10 yrs ago and it is still visibly going strong. 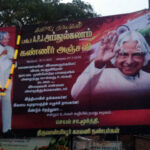 Her guru is Dr. Prema Rangarajan. Accompanying her was Adarsh on the mridangam and Sunderrajan playing the violin. They were comfortable as they had already performed together once before. Asha has performed more than six concerts before and was very comfortable on the stage. Even if you know music, stop analysing it and just enjoy. If you missed the concert and want to hear it, the concerts are scheduled to be telecast on Sri Sankara TV. Keep a tab.